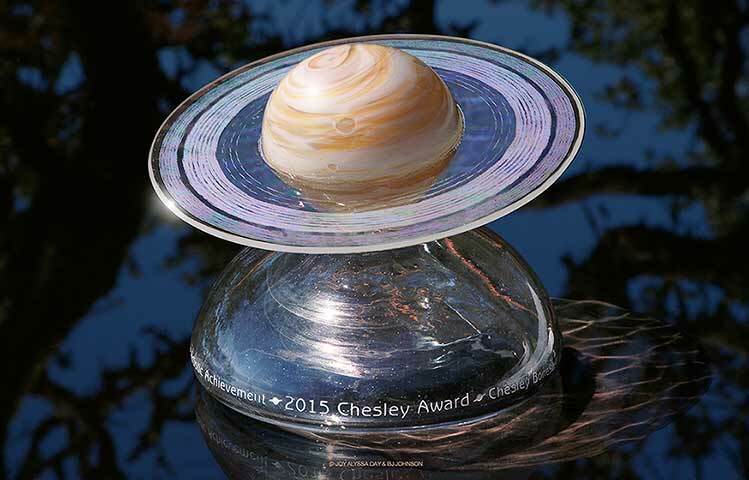 The Chesley Award is presented by the Association of Science Fiction & Fantasy Artists each year to leaders in the genré. We were commissioned to develop a new design to commemorate the 30th year of the bestowing of this honor. 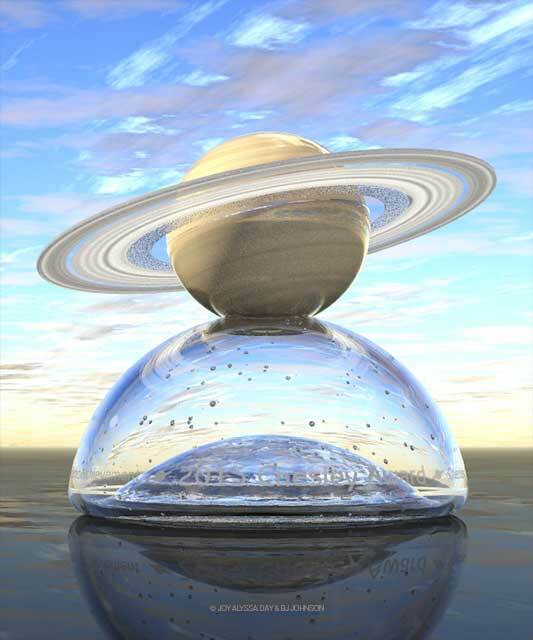 The sculpture base is a blown glass crystal hemisphere; approximately 5" (12.7cm) in diameter; exhibiting an embedded Universe of stars above a planetary chord. Resting atop it is a blown glass Saturn. 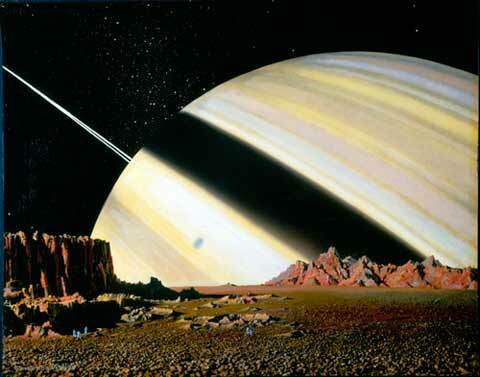 Its rings are approximately 6" (15.2cm) in diameter. The oblate planet sphere's equatorial diameter is 2.6" (6.54cm) made from five colors of crystal. 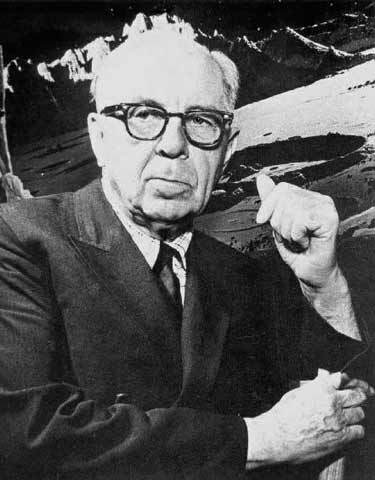 The award is named after Chesley Bonestell, the Father of Modern Space Art. It is cosmically fitting that we have been given the opportunity to create it, as we are space artists living in his adopted home town of Carmel, California. 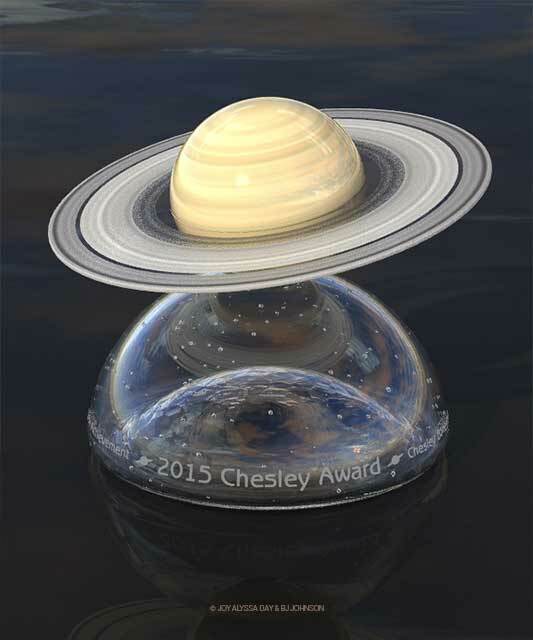 Saturn was Chesley's favorite object. 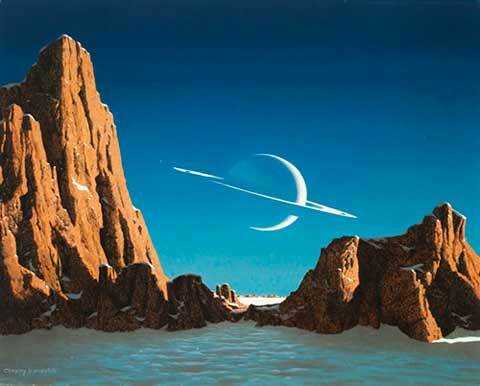 He painted it more than any other and those works are among his most recognized and revered. We are honored to be part of his ongoing legacy.